This Ozark jazz guitar is ideal for jazz and other playing styles. It features a selected spruce laminated top, laminated flame maple back and sides with hexagon inlay on fingerboard. It is fitted with two humbucker pick ups with individual volume and tone controls. It also has plated high quality machine heads and gold hardware. 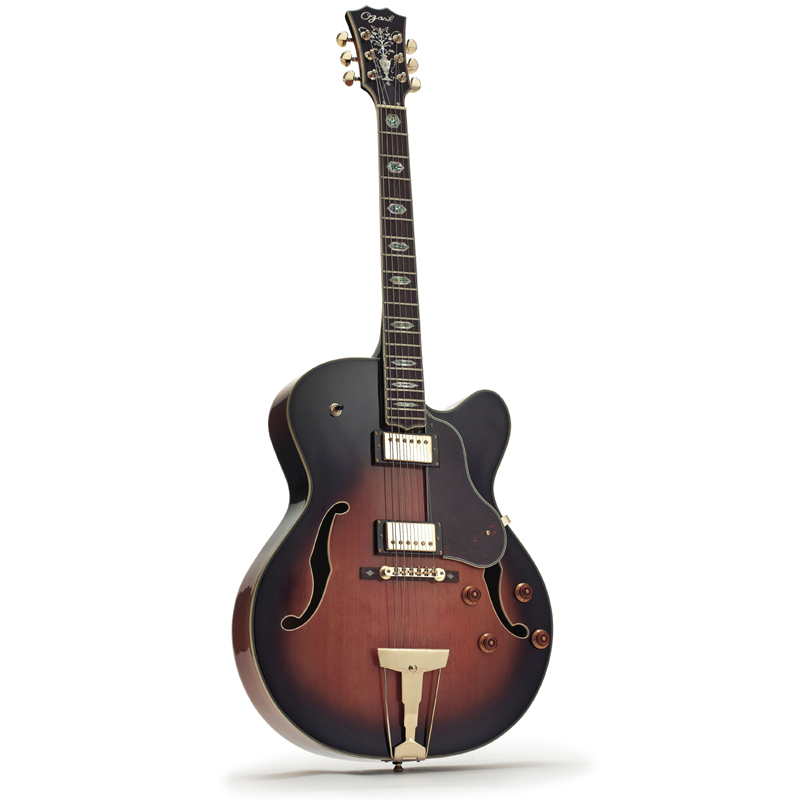 Scale length: 650mm This is a versatile guitar with classic warm tone that fits the 'jazz' sound. Its medium weight and balanced feel make it comfortable to play and it is a worthy competitor to many higher priced guitars.